SAD 54 board members will decide whether to hold the nonbinding referendum in the six district towns despite already voting 14-9 on March 7 to "respectfully retire" the nickname. SKOWHEGAN — Residents throughout School Administrative District 54 may get a say in a referendum vote about the Skowhegan “Indians” nickname for sports teams. But the nonbinding referendum vote is unlikely to make any practical difference, as both the local school board and the state move along separate efforts that won’t allow the name anymore. 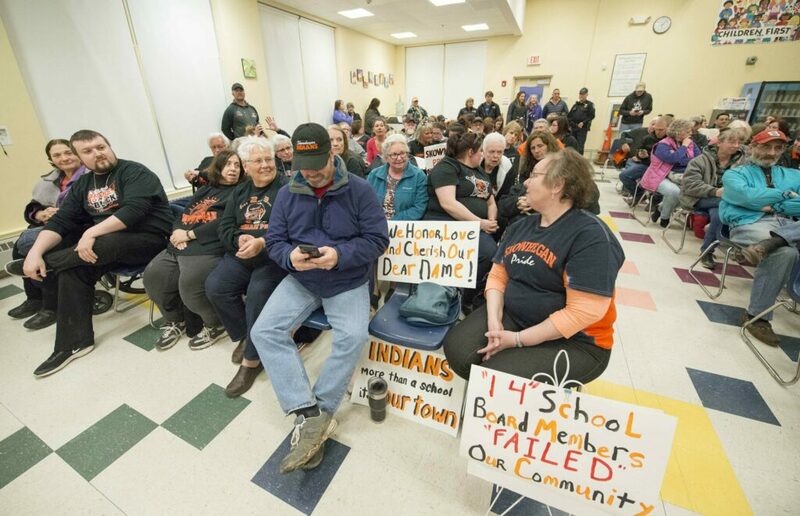 The SAD 54 board agreed Thursday night to vote at its next meeting on whether to schedule a nonbinding public referendum on the already-decided question of dropping the Skowhegan “Indians” nickname for sports teams. 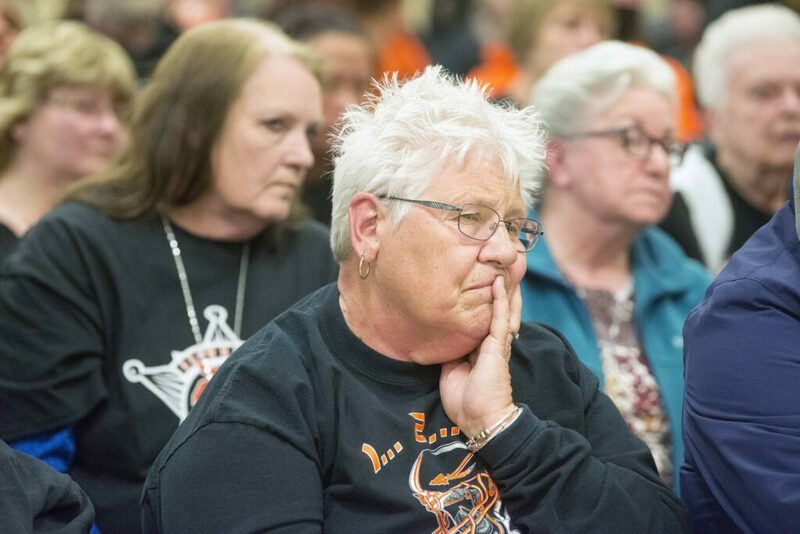 The school board voted last month to “respectfully retire” the name, but supporters have ramped up public criticism and circulated a petition calling for the decision to be reversed. Directors agreed that the language of the referendum question would be reviewed by the full board before the vote is taken and stressed that the referendum would be on paper ballots in all six district towns — Canaan, Cornville, Mercer, Norridgewock, Skowhegan and Smithfield. They also stressed that it would be a nonbinding referendum vote, meaning that any outcome would not overrule the board vote on March 7 to “respectfully retire” the nickname for all schools in the district, a landmark and divisive decision that came after months of debate and hearings. The consensus came after several members of the public were allowed to speak in favor of keeping the “Indians” nickname, saying it has nothing to do with race and that supporters of keeping the name are not racist. None stood to speak in favor of dropping the name Thursday night. Liz Turner, a student at Skowhegan Area Middle School, stood to address the school board dressed in a lavish cheerleading costume to say she wanted to keep the memories of Native Americans alive. She said she has started her own petition to ensure that all people in the district have a voice in the decision to retire the “Indians” nickname, not just the school board. School board members then debated among themselves about the value of a nonbinding vote, but school board member Harold Bigelow said he wanted to make sure that the taxpayers and residents had a voice in the process. Bigelow, like Lewis, said they resented the fact that “outsiders” had forced the final vote to drop the name. Directors also acknowledged that a referendum question also would be moot if a state law is passed to ban all Native American imagery for public school sports teams in Maine. The bill already has been voted out of a legislative committee and has the backing of the state Department of Education as policy for public schools. Debate over use of Native American imagery as school sports team mascots has raged for four years in SAD 54 and continued Thursday night, when both sides of the controversial issue once again packed the house at a school board meeting. There were the orange and black “Indian Pride” shirts and signs, mixed in with people hoping to end the the practice of using Native American nicknames and imagery that some say is a tribute to Native Americans who lived in the area for centuries and is a cherished local tradition, and others who say the tradition is a racist and destructive insult to Native Americans in Maine. 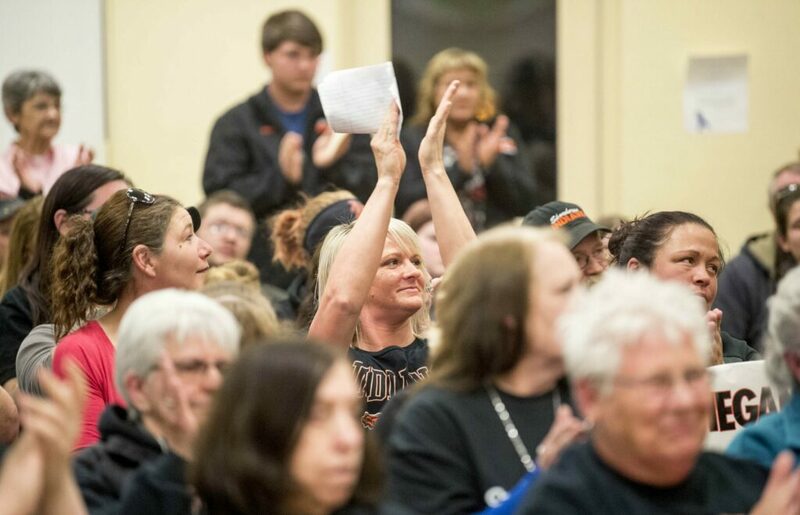 The school board voted 14-9 March 7 to end the practice, but “Indian Pride” supporters say it should be up to the people to vote in a referendum. The Somerset County school district is the only public school district left in the state that uses Native American iconography for its athletic teams. Thursday night’s meeting began with a closed session of school board members; Brent Colbry, the school superintendent; and the district’s lawyer to discuss the possibility of bringing the question of continued use of “Indians” to a popular vote. 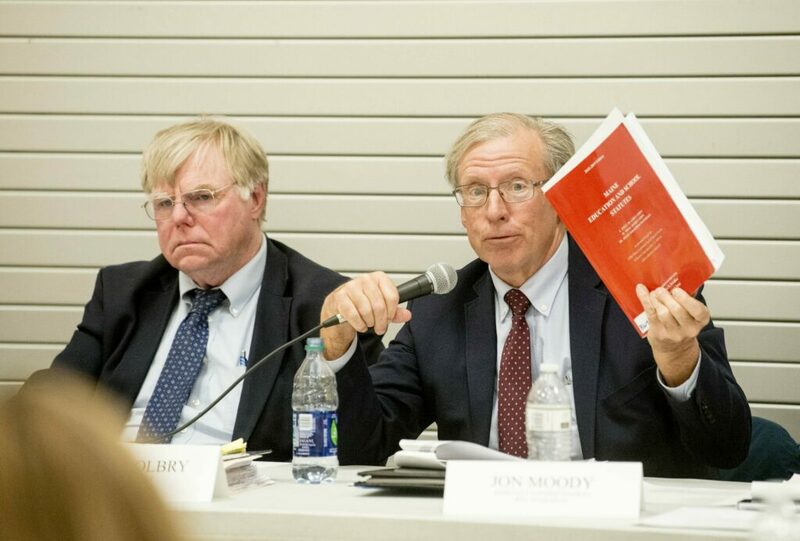 At a wild board meeting March 22, Stetkis asked that a moratorium be imposed on action on the March 7 vote until the public is able to vote in “a free and fair” referendum on the issue. Since the debate was first raised in 2015 on April 13 of that year during a joint meeting of a school board subcommittee and 10 members of the Wabanaki Indian federation, tribal leaders told school board directors they wanted the mascot dropped for the sake of all children attending Maine schools. Debate has fueled emotions in and out of school board meetings since 2015, when the board voted 11-9 to keep the name, saying that the word “mascot” was a misnomer, as the district had dropped all the feathers, warpaint and characters years before. They thought it was settled, but it wasn’t. “I say that calling yourselves ‘Indians’ means you have a mascot,” Maulian Dana, the Penobscot Nation tribal ambassador, has said. Dana, with a nod as spokeswoman for the tribe from Chief Kirk Francis, has said the use of the “Indians” mascot is racist and demeaning to real Native Americans. The staff attorney for American Civil Liberties Union of Maine sent a letter in December to the school board chairwoman and the superintendent, urging them to “do the right thing” and drop the “Indians” nickname. The chairman of the Episcopal Committee on Indian Relations also wrote a letter to the SAD 54 board of directors, asking the district to discontinue the use of “Indians” as the Skowhegan Area High School mascot. The church was mirroring what the Bangor chapter of the NAACP has said in 2015 when it asked the district to drop the nickname. Gov. Janet Mills also has weighed in, encouraging the SAD 54 board to discontinue use of the nickname. The department stopped short of supporting a bill that would ban the use of Native American mascots in Maine’s public schools, saying the local school board already had voted to drop the nicknames. Members of the Committee on Education and Cultural Affairs voted 7-5 to recommend the full Legislature support the proposed legislation. An amendment to include postsecondary institutions that receive state funding in the ban, rather than just public kindergarten through grade 12 institutions, was added. Rep. Victoria Kornfield, D-Bangor, a co-chairwoman of the committee, said that she views the bill as “a civil rights issue rather than local control.” Sen. Brownie Carson, D-Harpswell, agreed. Also in March, a proposal to change the Columbus Day holiday to Indigenous People’s Day as a tribute to Native Americans received initial approval in the Maine Legislature. The House voted 88-51 in support of the bill. The measure faces further votes in both the House and the Senate. Democratic Rep. Benjamin Collings, of Portland, sponsored the bill. He also is the sponsor of the bill to ban Native American mascots in Maine public schools.